L. Neal Freeman, MD, MBA, FACS is a practicing physician, surgeon, and medical coding expert witness, specializing in coding and reimbursement disputes. He is available for consultation, research, analysis, report generation, deposition, and trial testimony. Further, he is triple credentialed as a board-certified, practicing physician and surgeon, Certified Coding Specialist-Physician-based, and Certified Professional Medical Auditor, and this this combination provides an unusually broad perspective regarding the legal issues of valuation, coding, reimbursement, and compliance. Dr. Freeman is an active writer, instructor, and speaker in this area at national, regional, and local levels. Dr. Freeman has been retained as an expert, and provides services, for both plaintiff and defense. 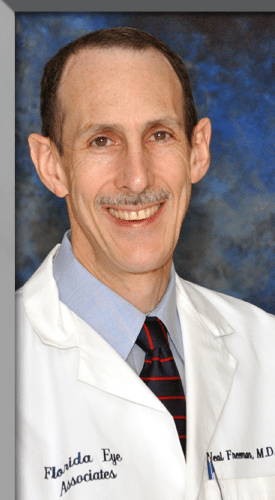 Dr. Freeman has been a member of the American Medical Association’s CPT Advisory Committee since 2004. In addition, he serves as chair of both the Coding and Third Party Reimbursement Committee of the American Society of Ophthalmic Plastic and Reconstructive Surgery and the Third Party Liaison Committee of the Florida Society of Ophthalmology. He is a specialty representative for the Florida Medicare Carrier Advisory Committee. Dr. Freeman is the author of the “coding.doc” feature in Ophthalmology Times and the “Coding Tips” section in Young American Society of Ophthalmic Plastic and Reconstructive Surgery News. He is an Assistant Professor at the University of Central Florida College of Medicine. He has received the Achievement Award for Instruction from the American Academy of Ophthalmology. Please click the badge below for Dr. Freeman’s professional profile on LinkedIn.